It’s OJ Simpson . It’s his mug shot. 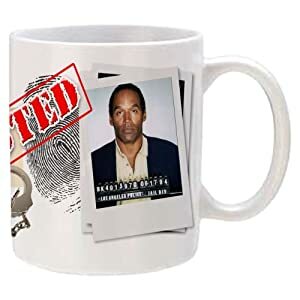 It’s OJ’s mug shot on a coffee mug. You’ll be the only one on the block with this cup.